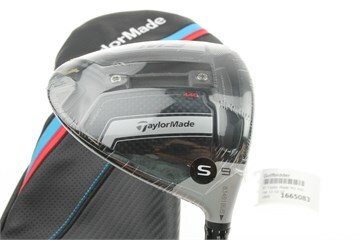 Bid on a Taylor Made M3 440 Driver with Stiff Graphite tensei CK 60 shaft 9.0 degree loft. HEADCOVERS: If a headcover appears in the photos above then this club comes with the manufacturer’s matching head cover. If not we will supply a plain cover head cover free of charge. 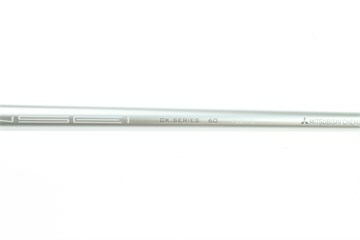 WRENCHES: This club will come with the manufacturers wrench for making adjustments if required. 10 - New or Mint Brand new, never been hit. Brand new, never been hit. 9 - Excellent The head is only shop-soiled and could almost be passed 'As New'. The club has never hit a golf ball. The head is only shop-soiled and could almost be passed 'As New'. The club has never hit a golf ball. 8 - Very Good The club may have only been hit at the driving range or played 2-3 rounds of golf maximum. If there are any marks at all on the head they will be very light. The club may have only been hit at the driving range or played 2-3 rounds of golf maximum. If there are any marks at all on the head they will be very light. 7 - Good There will be evidence of play, but no damage. These clubs will have been used and looked after with no dings or chips. No scratches, sky marks or chips to the paintwork and the face will be in good condition with no heavy wear marks around the sweet spot area. 6 - Fair In perfectly usable order but cosmetically not quite deserving of a 'good' rating. There may be minor stone chips on the sole and marks resulting from normal wear and tear. In perfectly usable order but cosmetically not quite deserving of a 'good' rating. There may be light sky marks and small scratches resulting from normal wear and tear. 10 - New or Mint It may or may not still have the wrapping on, but the club has never been used. It may or may not still have the wrapping on, but the club has never been used. 9 - Excellent The shaft is only really shop-soiled and could almost be passed 'As New'. The shaft is only really shop-soiled and could almost be passed 'As New'. 8 - Very Good The club may have only been hit at the driving range or played 2-3 rounds of golf maximum. Either way, if there are any marks at all on the shaft they will be very light. The club may have only been hit at the driving range or played 2-3 rounds of golf maximum. Either way, if there are any marks at all on the shaft they will be very light. 7 - Good On steel shafts, one or two of the stickers may have begun to fray slightly but the shafts themselves will be in good order with just a minor scratch here and there. On graphite shafts there may be a few light scratches, but no wear on the paintwork. 6 - Fair In perfectly usable order but cosmetically not quite deserving of a 'good' rating. On steel shafts, some of the stickers will probably be fraying, but there is nothing which will affect playability. Chrome protective layer will still be in tact, with no pitting. In perfectly usable order but cosmetically not quite deserving of a 'good' rating. 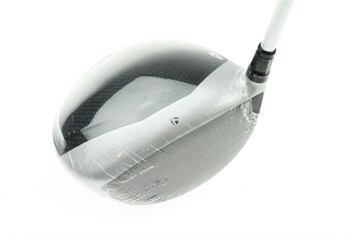 There may be one or two minor wear marks on graphite shafts where they have rubbed against the bag. This will be cosmetic and will not have gone through any graphite layers. 10 - New or Mint Although we do rate grips separately, we trust that a detailed explanation of the rating system is not necessary. Suffice to say that, as with heads or shafts, if grips are in a very poor state this will be reflected in the cost. The TaylorMade M3 driver features revolutionary new face curvature (Twist Face) which corrects face angle on off-center hits, to reduce side spin resulting in straighter drives. Twist Face technology provides increases loft in the high-toe and decreases loft in the low-heel to produce more a consistent spin profile in common mis-hit locations. 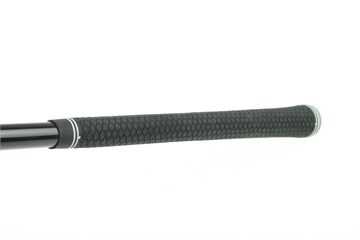 A new Hammerhead slot in the sole allows for a lighter, more flexible face, resulting in a larger sweet spot. The center portion of the slot increases ball speed low on the face and drops unwanted spin for more distance. A new, simple, and intuitive Y-Track system moves weight and personalises ball flight for draw/fade/high/low. Connected tracks allowing for unrestricted movement of two, 11-gram weights. Fantastic product, perfect shaft. GolfBidder rated everything as 8's, but I'd say it's better! If you have a query regarding this item, please login (you need to be a registered user), complete the box below and click "submit". We will reply via email within 24 hours. Alternatively, phone us during office hours on 020 8401 6901.